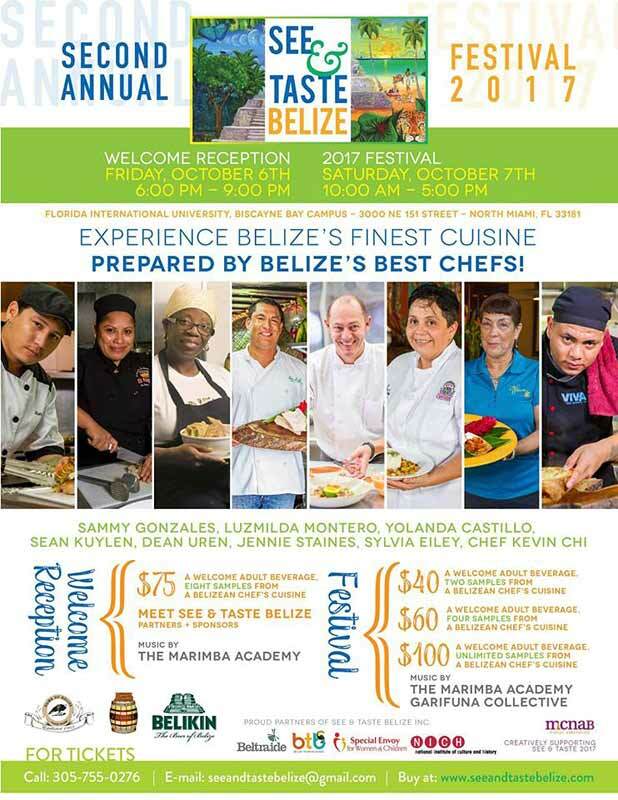 You are invited to the upcoming See & Taste Belize 2017 Festival, October 7th, 2017 in Miami, Florida! See & Taste Belize Inc., co-hosted by the Special Envoy for Women and Children and the Spouse of the Prime Minister, Mrs. Kim Simplis Barrow, along with its partners, The Belize Tourism Board, BELTRAIDE and NICH, will be hosting its second See and Taste Belize Festival at the Florida International University Kovens Center, to raise funds for the Inspiration Center of Belize, who takes care for the children with disabilities of Belize. 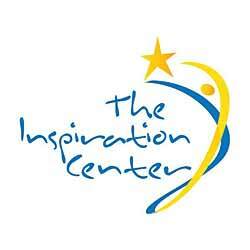 Please consider buying a ticket (US$20 - US$175), even you cannot make it to the event! It’s so worthy to support this amazing cause! See & Taste Belize Inc., co-hosted by the Special Envoy for Women and Children and the Spouse of the Prime Minister, Mrs. Kim Simplis Barrow, along with its partners, The Belize Tourism Board, BELTRAIDE and NICH, will be hosting its second See and Taste Belize Festival on Saturday, October 7th at the Florida International University Kovens Center, to raise funds for the Inspiration Center of Belize, the first of its kind to care for the children with disabilities of Belize. The last See & Taste Belize Festival enjoyed immense success thanks to the support from our Sponsors and the Belizean Diaspora who came from all over the USA to enjoy and celebrate Belize and all the wonderful things they love and miss (friends, food, music, art, rum and beer)! This allowed us the amazing opportunity to raise over $60,000.00 USD towards the building of the first Neo-Natal and Pediatric Intensive Care Unit in Belize. See & Taste Belize Inc. will be celebrating once again Belize’s vibrant and diverse culture in South Florida represented by a fusion of foods spanning its Mayan, Garifuna, Creole and European heritage. 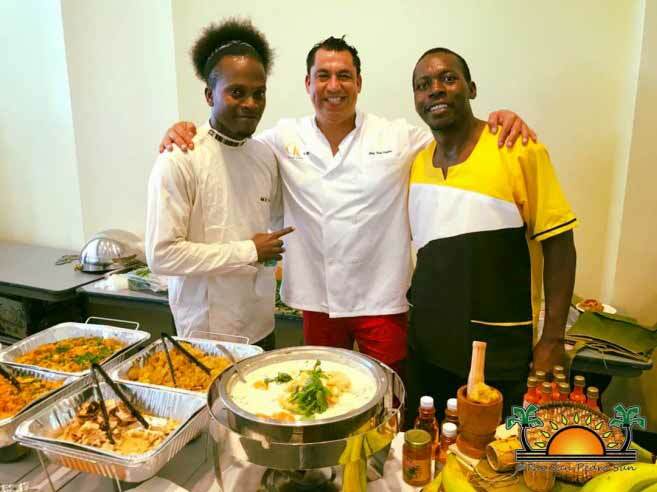 Renowned Chefs and Artists from Belize will be there to share their gastronomical and artistic talents at a one-day festival. Guests will also enjoy samplings of Belize’s local rum from renowned Travelers and Cuellos as well as our famous Beliken beer, while listening to the tunes of the coveted Garifuna Collectives Band. 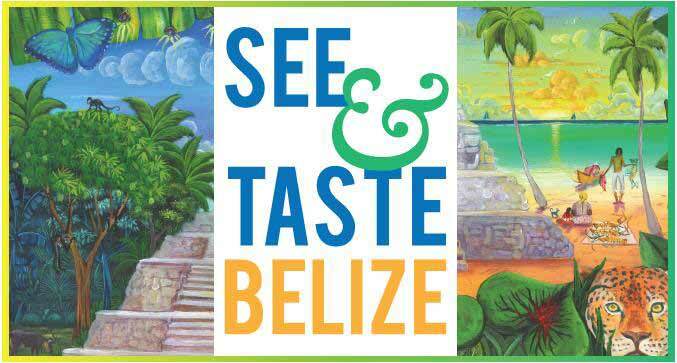 In honor of this Belize Day in Florida, the See & Taste Belize festival will kick start with a Welcome Reception on Friday, October 6th at 6:00 p.m. The Family Coppola Hideaways are also excited to join us this year in hosting “Bite of Belize” reception, (at a beautiful home of Natasha Dubarry on the Venetian Island of Miami Beach) a spin off from See & Taste Belize, featuring Turtle Inn Resort’s Chef, featuring nationally acclaimed Chef, Ingrid Hoffman from food show, “Simply Delicioso” and Mr. Louis Aguirre, celebrity television anchor. We urge you to buy your tickets now before they are sold out at www.seeandtastebelize.com! The See and Taste Belize Festival 2017 is only days away. The festival, which is a celebration of Belizean culture, will be held for a second year in Miami, Florida. Here's what Belize Now found out about the event! What an incredible lineup for this weekend's See & Taste Belize Festival in South Florida! If you're in the Miami area this weekend, don't miss this opportunity to enjoy all things Belizean: good food, good music and the company of your fellow Belizeans! The weekend kicks-off tonight with an All Inclusive Welcome Reception. 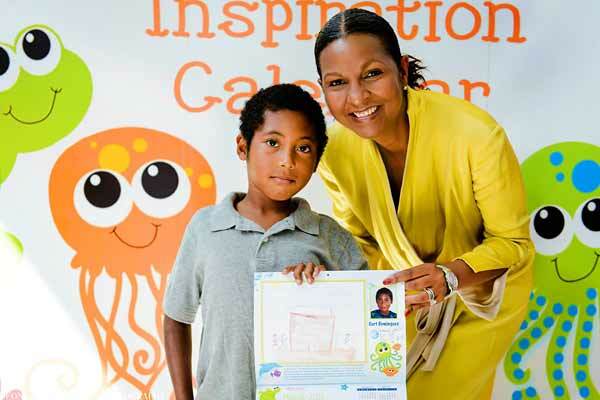 Don't miss this wonderful opportunity to support the children of Belize! For more details visit www.seeandtastebelize.com! Get your tickets today!